*disease: humans and chimpanzees are so similar that diseases are easily transmissible between them. This is called ‘zoonotic disease’; Ebola haemorrhagic fever is one of these zoonotic diseases which each know to have killed both humans and apes. Today, it is said 40% of the wild chimpanzee population still live in the DRC. The Democratic Republic of the Congo ratified CITES agreements protecting GREAT APES in 1976, which means that DRC laws on wildlife do exist. However, many of these laws are totally ignored. Therefore, 10 years ago, nothing was done to protect apes throughout Katanga and this is one of the reasons J.A.C.K. started! For years, Franck and Roxane Chantereau have seen ape babies bought as pets by expatriate families and witnessed these poor little ones being sold for small change on the streets of Lubumbashi. From 1995 to 2006, Franck recorded alarming facts of ape infants arriving in Lubumbashi to cover the local “pet” demand or heading for Zambia and South Africa for the international ape trade. In 1995, Franck asked worldwide wildlife conservation institutions to take stand. But the anwser was “DRC is a dangerous country: due to political unrest, no action can be taken“. It was more than obvious nobody wanted to help nor be involved!!! Poachers do capture young infants on demand. People “ordering” young chimpanzees are expatriates, but also members of the Congolese Army and other “high ranking” Congolese who use their uniforms or their power to detain, smuggle and sell little chimpanzees. For these appaling facts and because of so much ignorance and lack of interest, Franck and his wife, Roxane, decided to do something for these lost creatures. 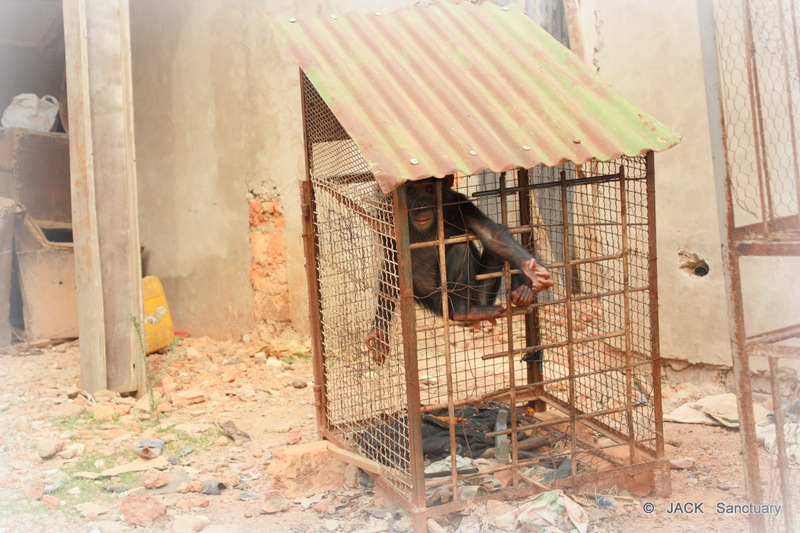 Franck wanted to stop that illegal trade but had therefore to help authorities enforce the laws regarding wildlife & endangered species and had to built a refuge center: without providing a safe shelter for the seized apes, the authorities wouldn’t have been able to legally confiscate them! This is how J.A.C.K. 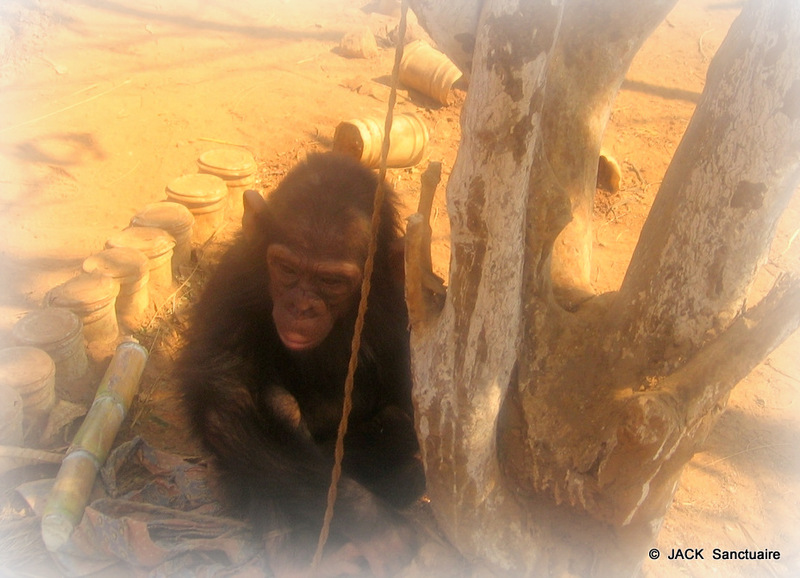 sanctuary started in 2006 with the first chimpanzee ever legally confiscated by DRC Environment officials. The name of this first rescue was “JAK”!